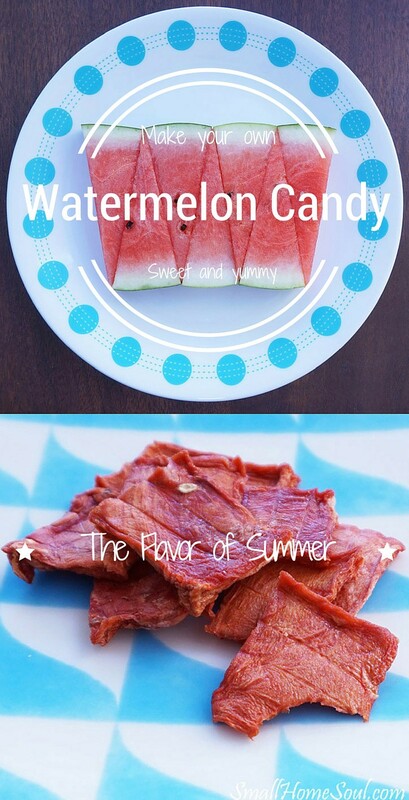 How to Make Watermelon Candy - Summer's Sweet Treat - Girl, Just DIY! When someone talks about Watermelon Candy do Jolly Ranchers come to mind first? That’s what I used to think too until I made watermelon candy for the first time last year. I bet you didn’t know you could make your own watermelon candy using just a watermelon and nothing else. Well, you need a few other things but no other food items, and no added sugar. Queue the mom applause here. 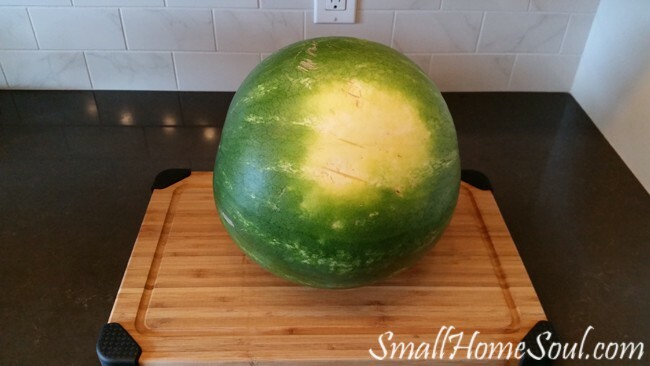 I wanted to get this post published before Independence Day since watermelons are so closely tied to the 4th of July. We were out of town recently and I wasn’t able to get it all pulled together until today. Thankfully it’s still watermelon season so you have time to try this yummy-ness yourself. We’ve been using the techniques I learned through a FB post shared a few years ago and we haven’t had a bad melon since. 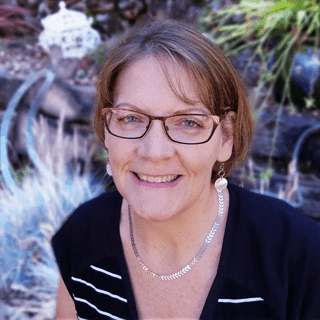 They go like this…. This watermelon is perfect! 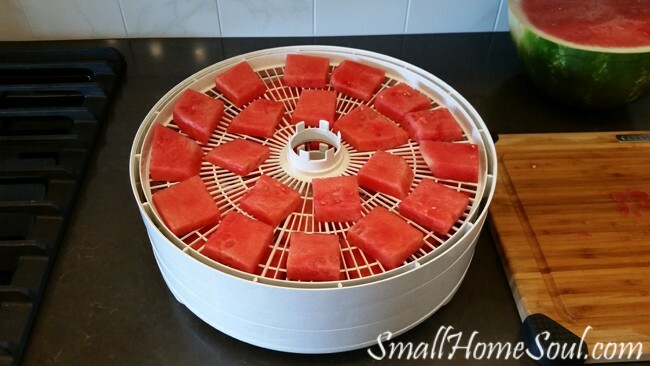 You’ll only need a few slices to fill your dehydrator so enjoy the rest of the fresh juicy melon like you would normally. There’s not much active time to making this yummy watermelon candy, but you should plan to make it when you’ll be home to check on the progress. Now that you know how to pick em let’s get to the candy makin’ part. 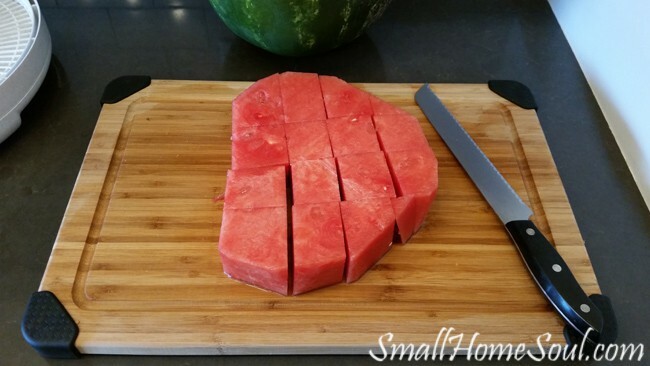 Slice off a section of watermelon approximately 1-1/2″ thick. Cut off the rind and then slice it into sections of 1-1/2″ by 2″. Take each section, turn it on its side and slice into 1/2″ slices. 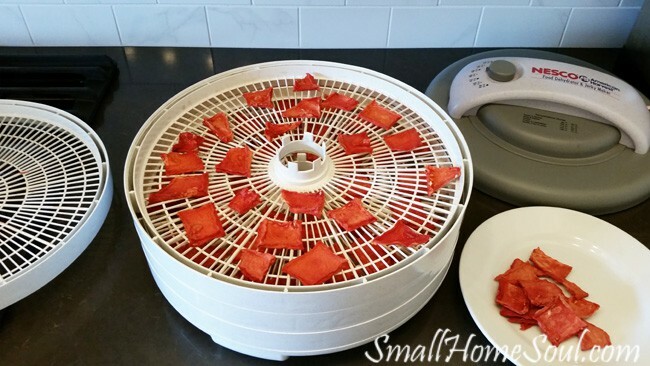 Place your slices onto the trays of your dehydrator, leaving some space between each slice for air movement. 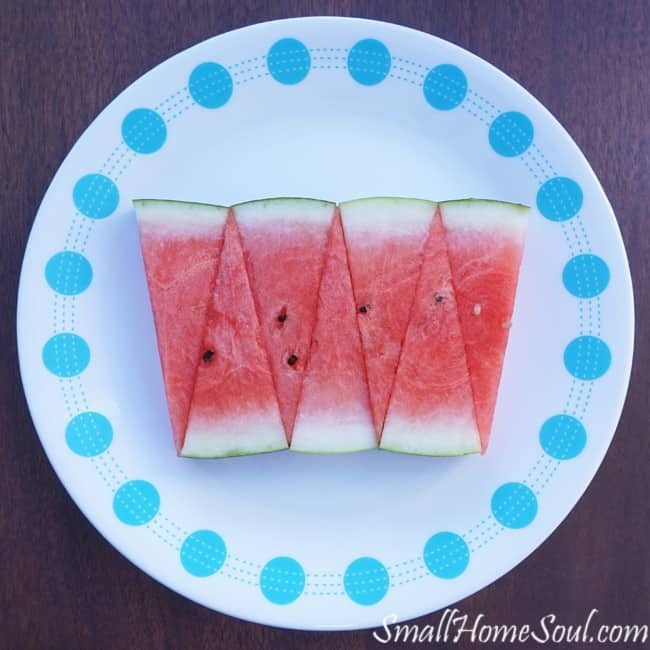 You could try 1/4″ slices because they will dehydrate into watermelon candy quicker. I wouldn’t cut them any thinner than that or your resulting candy will be very thin. 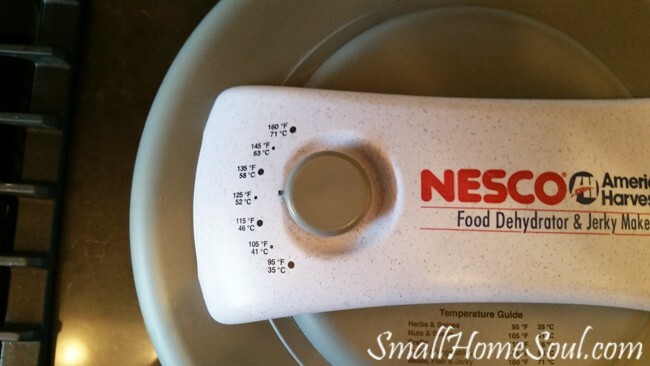 After all your trays are filled place on the top and plug it in. 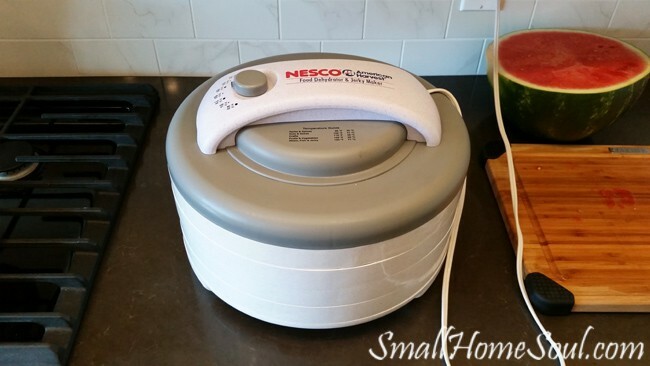 Set the temp on your dehydrator to 125 degrees. The idea is to dry or dehydrate the melon without cooking it. At about 24 hours start checking your pieces. When done they’ll be a little firm and not squishy. If they’re squishy there’s still too much liquid. I usually flip them over at this point. This helps them not to stick to the tray. See how small they get once all the liquid is gone? You could start with larger slices but then you can’t fit as much onto the round trays. 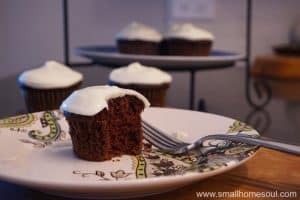 A healthy and tasty treat; it’s perfect when you want a little something sweet. From this…. 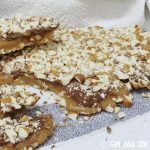 Pin this yummy recipe to your favorite candy or sweet treat board. I wish I could send you all a piece to sample but my supply is already very very low. 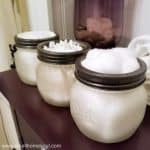 I better get to makin’ some more before watermelon season is over. If you’ve ever made your own watermelon candy (or make some in the future) I’d love to hear what you think of it. Debbie, I had no idea what those spots meant either. 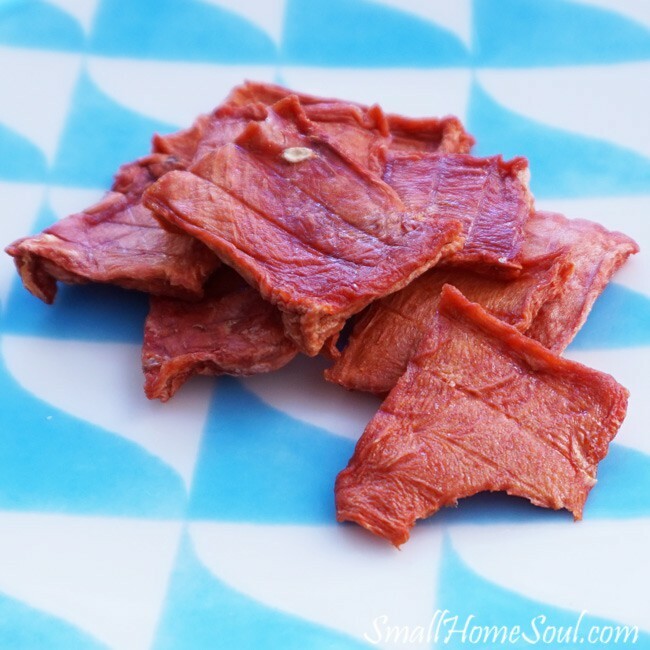 I love my dehydrator, you should put it on your Christmas list for sure! 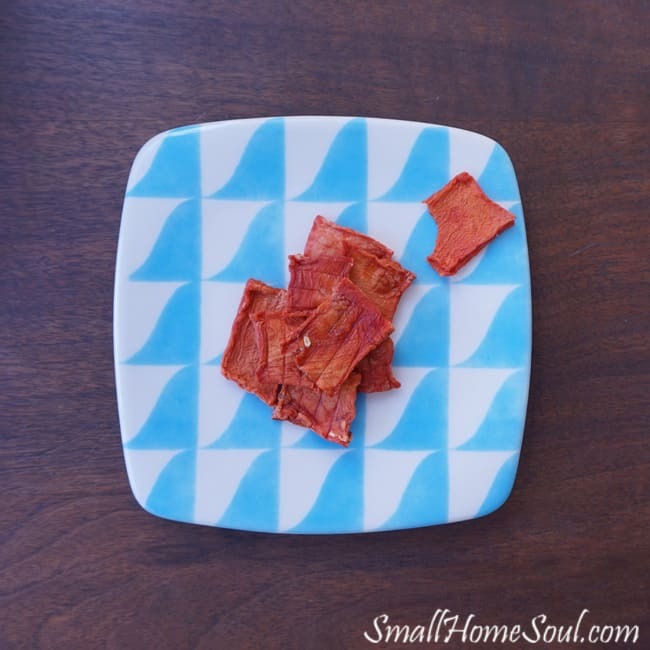 Never tried dehydrating, looks easy enough. Thanks for sharing. You are sweet my friend! I would have never thought of doing this! Looks yummy!! Susanne, I’ve tried quite a few things and I’ve had some failures but mostly successes. This was one of the successes as you can see 🙂 I use my dehydrator more than I thought I would. 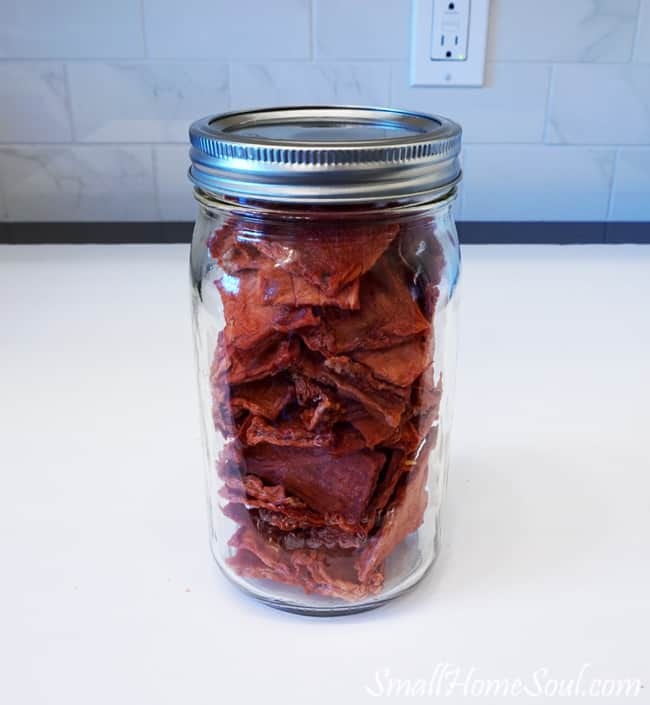 My hubby wants me to try making beef jerky but I haven’t got around to that one yet. Perfect combination! Two of my favourites! 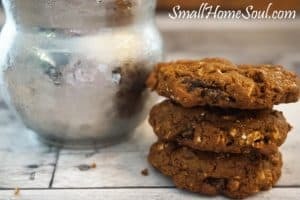 Will be sure to try out your delicious recipe! YUMMY! Well, I never heard of watermelon candy. How clever! I’ll have to try it for sure. Looks delish. Susie, you will love it! YUM!! I love watermelon & I love candy!! I will be trying this for sure!! !